If there's one company that knows how to shake things up, it's Google. Whether it's the introduction of a new algorithm or pretty much limiting access to all keyword data, it simply isn't afraid to make some (rather enormous) waves. And once again, there's new news from the tech giant -- this time, it's for Google+ (and something many brands should be pumped about). Today, Google announced the introduction of +Post ads (on Google+, of course), a new ad type it has begun testing with a handful of brands. These +Post ads will essentially be display ads of brands' Google+ posts -- and I mean any post, including ones with videos, images, and Hangouts -- that allow website visitors to comment on posts in the ad and share them within their circles. What's more is that Google stated these ads can be run across the 2 million Google Display Network sites. As noted in the announcement for +Post ads: "This lets brands think of the entire web as their social stream." A rep from the car manufacturer noted in the video below how it joined the testing not only to reach more consumers, but also the right ones at the right time, and, ultimately, begin a conversation with those consumers. Google's +Post ads should excite marketers everywhere. As we've noted on this blog over and over again, inbound is an evolving methodology. In other words, inbound continually provides new avenues for marketers to experiment, grow their brands, bolster their lead gen, and improve their ROI. These +Post ads certainly provide a new avenue for inbounders -- and one they should definitely take. Think of it this way: If you focus on quality content creation and share that content on Google+, you could not only share it with your own followers on the social platform to expand your reach, but also use it in +Post ads that you share with the right audience. Even better, you can test out the efficacy of content organically before investing money in its promotion -- making the typical PPC you do even more effective. 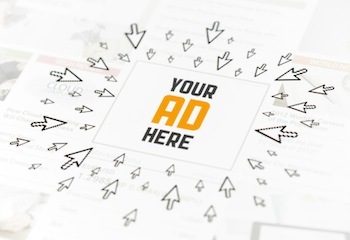 Specifically, the brands that can likely benefit most from +Post ads are ones that have some difficulty drawing in visitors to their social accounts. (I'm sure plenty of B2B marketers can attest to this -- and even some B2C ones, too.) From the looks of it, by developing these ads, brands can reach their buyer persona in a truly unique new way. Now we just play the waiting game. Of course, it's now a waiting game, given that Google revealed only Toyota and a "select group" of brands, including Ritz Crackers and Cadbury UK, have the ability to create +Post ads. However, it was noted these brands were seeing significant results from the new ad type: expansion rates of 50% higher than the industry average for other rich media ads. Marketers obviously won't get a clear idea of just how effective +Post ads will be for them with these brands as proxies, but we'll stay up to date with the latest from The Google to hear about any news regarding when +Post ads will be made available to more/all brands. What do you think of this news from Google? Do you think you would want to implement +Post ads for your brand? Feel free to share your thoughts in the comments!